The Scriptural narrative is littered with stories of “strangers in a strange land.” Noah, Lot, Abraham, Isaac and Jacob, the Israelites and Moses in Egypt, Israel in Babylon, even Israel under the Greeks and Romans – beyond the Scriptures – Israel in the diaspora. It is perhaps among the most unifying threads in story of the people of God. Only the later flirtations of Christian empire have ever made believers think themselves other than strangers in the world. Today the days of empire have passed, and although some engage in the sentimental exercise of wondering, “What if?” it is but a daydream, a distraction from the greater task at hand. That task can seem tedious and deeply wearying. How to live as a stranger in a strange land? In the previous series of articles I have described some of the characteristics of our modern period – characteristics that are decidedly contrary to Classical Christianity and its way of life. But we are born into a modern world and are permeated by its assumptions and the ethos it creates. In our present period it is dominated by consumerism and pop culture. Having exhausted the inheritance of earlier Classical Christian civilization, the modern world stands like a Potemkin Village – all storefronts with no stores. It only has form – no substance. There are temptations that are natural to our situation. Despair is perhaps the most common, followed by various forms of assimilation. There is also an almost opposite temptation – becoming hyper-vigilant and angry. Despair, interestingly, is described in great detail within the fathers. It is not just the product of modern dissonance. Evagrius of Pontus, treated despair or despondency (acedia) as the most common spiritual malady. Fr. Gabriel Bunge’s small book on the topic is a spiritual treasure – that I strongly recommend. Human beings are created to avoid pain – a reaction that frequently saves our lives. But it is also a reaction that constantly drives us towards assimilation and mediocrity. Islamic countries, following the dictates of the Koran, have often set in place laws governing the “dhimmi,” Christians and Jews under their political power. These laws are not a matter of tolerance, but of pressure and taxation, giving a measure of defined freedom but creating enough pain that assimilation (conversion to Islam) comes as a great relief. It is inherently a long-term strategy, with predictable success. A dominant culture does not have to pass laws to specifically create a “dhimmi.” If its ethos is contrary to the nature of the faith, its dominance is sufficient by itself. The answer to these temptations is a truly integrated life of faith. Orthodoxy cannot survive as an afterthought or a consumer’s option for the spiritual life. The modern cultural model of Christianity cannot sustain Classical Christianity. Sunday attendance alone creates a very thin Orthodoxy if it is not accompanied with private or family-based practice. Things such as feasts and fasts, foods and fashion are, in themselves, of little theological importance. But within a dominant and strange ethos, they rise to greater significance. Allowing our lives to be shaped by our faith and its practices, almost as if we had no choice, is both a strategy for survival as well as a model for growth. 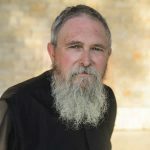 Connection with monasteries (where possible) and other institutions permeated by the faith is essential. Avoiding anger and reaction are equally essential. Anger, as a healthy emotion, is meant to be only of short duration. It provides needed energy to fight or run away. But anger as a long term and frequently accessed emotion is death. As a friend said to me, “Anger is like drinking poison expecting someone else to die.” It also feeds despondency. Thus, it is necessary to live with a certain peace within the modern period. We cannot curse the world around us, nor be emotionally driven by its insanity. That peace is an integrated life. Fr. Thomas Hopko, Dean Emeritus of St. Vladimir’s Seminary, wrote 55 maxims for the spiritual life. They have been widely published. I know of nothing comparable as a description for a spiritual life well-lived. I append them here for your use. Print them. Study them. Do them. A good friend offered an observation that made me want to add a caveat. Lists invite a certain set of temptations. One is to take them too literally and seriously. Though Fr. Tom’s list is both literal and serious – it has to be read and understood on the whole. Consider the aggregate. There is care for the simple, for the immediate for the uncomplicated. It describes a “way” of living, rather than a guide for managing the details of the day or a slavish list for be devoutly Orthodox. Keeping lists carefully would seem to me, rather un-Orthodox. Take a few things that would seem most helpful and make use of them. I strongly suggest not posting the 55 things in a prominent place. Study the list from time to time as a way of personal reflection and may God give you grace! Thank you for the article. It gave me nostalgia in two ways. 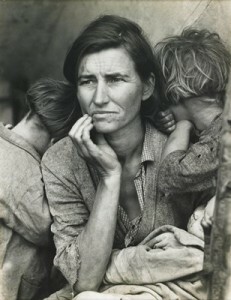 First, the poignant photo from the dust bowl of the 30’s. It was in an old set of encyclopedias I and my sisters looked at and read before it fell apart from constant use. It also makes me nostalgic for heaven as it reminds me of the great faith list of saints in Hebrews 11. These, we are reminded, “admitted that they were strangers and sojourners on earth.” “…They were looking for a country of their own.” After listing how many were tortured for their faith there comes a verse that has always evoked something deep within me…”the world was not worthy of them.” Thank God for this list of faithful saints (may we be numbered among them) and for the list you have included from Fr. Hopko. All of humanity is estranged both from God, from each other and from our selves. Most actually realize that we are, most just have no way to overcome the strangeness. Some accommodate themselves to it by various sorts of violence, for that is what the insanity calls forth. The only remedy we have is prayer, worship, fasting, almsgiving, repentance and forgiveness. This is the day the Lord has made, let us rejoice and be glad in it Ps 118. Thank you, Fr. Stephen! Glory to God for All Things! Thank you, Father, for introducing all these wonderful people and their work (Fr. Hopko included, I can’t stop listening to him on AFR) and for the gathering of the faithful in the comments. When you’re a stranger in a strange land, it is a matter of life and death to know there’s a diaspora. That was simply beautiful. Thank you. Father, thank you very much indeed. This is great, Fr. Stephen. From your previous words as well as some reading, I think I better understand now what is meant by the dangers of imagination in prayer – i.e. somehow thinking that we can “conceptualize” God, thereby forming an image of “God” based on our own ideas and wishes. This could very easily result in us worshiping ourselves rather than the true God whom we cannot know apart from His revelation (and then still most incompletely). Makes great sense to avoid this sort of imagination. Where I am stuck is in understanding “imagination” in other contexts, i.e. art, poetry, literature, etc. On the one hand, we are to pray always with single-heartedness, so it is not as though these artistic experiences should somehow be divorced from our prayer life. Yet I cannot imagine that the teaching regarding imagination is a ban on all art. It seems to me that God can use our “imaginations” to touch other souls – as music, an image, a story may move someone in a way that leads them to consider God when they may not have been ready to hear a direct preaching. I realize that we are also at risk for worshiping our own “creations” when being creative – yet I think that calls more for humility than a complete avoidance of imagination or creativity. Perhaps I’ve understood the entire issue incorrectly. I would appreciate any clarifying reflections on this. Thanks. Fr Stephen,this series is helping me see how my turning away from classical Christianity and political conservatism in general (having concluded through observation & experience that institutions do not easily promote either the general welfare or individual personal & spiritual growth) was based on. . . I don’t know if it was lack of real faith, or on an excess of my own notion of faith, or on discouragement & despondency, or on a kind of cultural osmosis. In any case, I am continually challenged and inspired by your work. I think that musicians, artist, painters, although they have a ‘head start’ in one sense in the spiritual life, also have a great difficulty in that we become easily distracted into a heartfelt attachment to things that are not God, even if clearly they are God’s. I am not talking so much directly about imagination here -that is another matter – but about what you call imagination’s “other contexts”. A beautiful service in a beautiful Church with beautiful icons and chanting and incense can be a great help to one’s concentration. However, if it is “too beautiful” the mind (of an artist) becomes distracted from the depths of the heart – the place of encountering the Lord par excellence- through the senses to the outside world. I have seen the photo you posted before. This time I saved it from your blog. There is an uncanny resemblence to my mother when she would have been about that age. If I didn’t know better I would almost say that was her. She would have been in her twenties during the Depression and lived in west Texas during her teens. There is a striking resemblence. Fr. Stephen- Love your insight, I can’t tell you what a blessing you have been to me through your blogs, podcasts, etc. Thank you. I would suggest that people listen to Fr. Hopko’s podcast where he discusses the 55 Maxims. 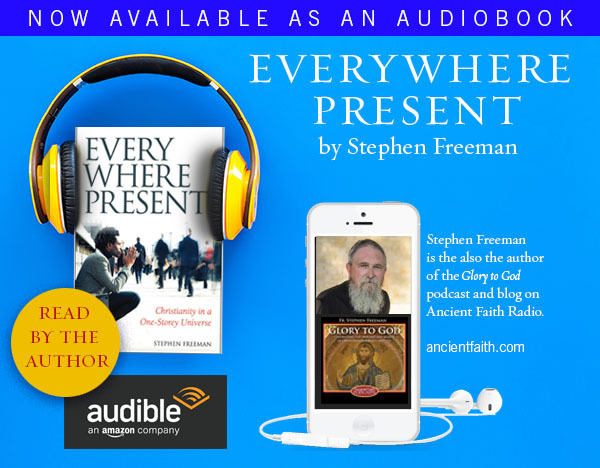 Found on Ancient Faith Radio, “Speaking the Truth in Love”. Might be from 2009 or a bit later.